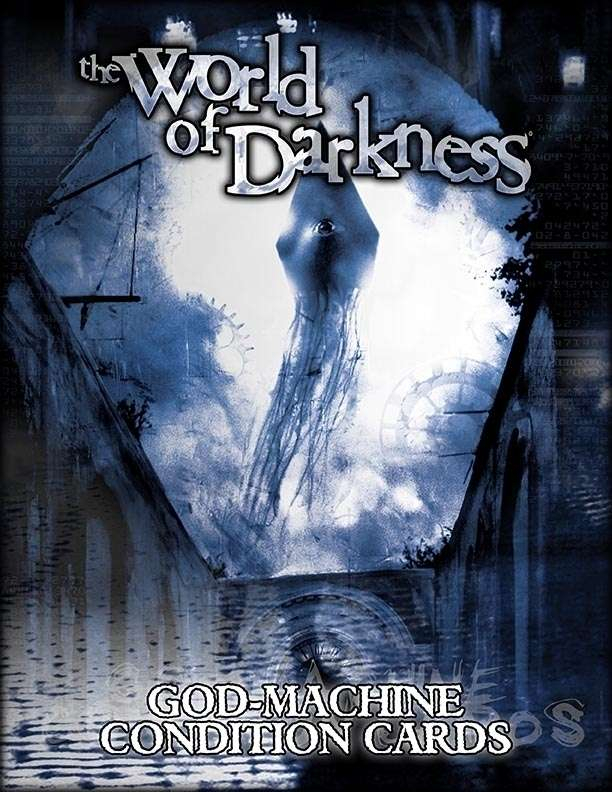 Part of the new God Machine Chronicle rules, Conditions add an additional layer of consequence and reward to certain actions in the World of Darkness. Various things within the course of a game can cause Conditions. These include exceptional successes, supernatural abilities, and really any situation where the Storyteller thinks they can be used to heighten the drama of a game. These God Machine Condition Cards are a handy and elegant way to keep track of and incorporate Conditions into your Chronicle with each of the 23 cards featuring a single Condition. Why not tilts? AND are these good for the Chronicles of Darkness Edition? Are any missing? These are good enough for Chronicles of Darkness. Technically they are missing "Obsessed" and "Soulless" from the Chronicles of Darkness rulebook, but "Obsessed" can be found in the Demon and Vampire Cards, and "Soulless" can be found in the Vampire Cards. Also the condition called "Disabled" in the God Machine rulebook has been called "Crippled" in the Chronicles of Darkness rulebook for some reason, but it is still there. Also, I too would like Tilt Cards. Thanks for answering. Been a long while since I looked into this. Do the Rulebook cards and vampire cards overlap? If I buy the vampire cards do I need these too? Thanks.